Chris T. Sullivan founded Outback Steakhouse in 1988 with Bob Basham Tim Gannon, and Trudy Cooper; additionally, Mr. Sullivan served as former Chairman and CEO of Outback Steakhouse, Inc. The company went public in 1991 and over the next 15 years Sullivan collaborated with the founders of Carrabba’s Italian Grill, Bonefish Grill, Fleming’s Prime Steakhouse, and Roy’s Hawaiian Fusion to develop and operate over 1400 restaurants worldwide. In 2007, with then CEO Bill Allen, the OSI Board of Directors, and executive team, the company was sold to Bain Capital Partners, Catterton Partners, and the OSI Founders. In 2012, the reconstructed company, Bloomin’ Brands, Inc. went public and Sullivan serves as a Director. 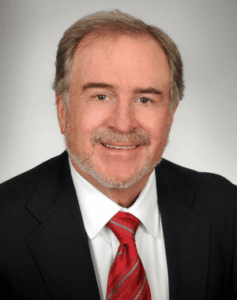 He is currently a partner of MVP Holdings, Inc., which include Lee Roy Selmon’s Restaurants, Carmel Kitchen and Wine Bar, MenuPad, LLC, Chairman; ConSul Partners, LLC and numerous restaurant industry investments. Mr. Sullivan is a graduate of the University of Kentucky, with a B.S. degree in Business and Economics, and in 2000 he was inducted into the Hall of Distinguished Alumni. In 1997, Sullivan together with Bob Basham and Bob Merritt, founded Old Memorial Golf Club. Currently, Mr. Sullivan serves on the Executive Committee and Board of Directors of the Horatio Alger Association of Distinguished Americans and is active in numerous charitable organizations focusing on catastrophic diseases, PTSD, and education.